Milly elbow-sleeve lace dress, $424 at Piperlime. Jessica Simpson layered print fit-and-flare dress, $128 at Nordstrom. Candied Lemon sheath, $288 at Anthropologie. 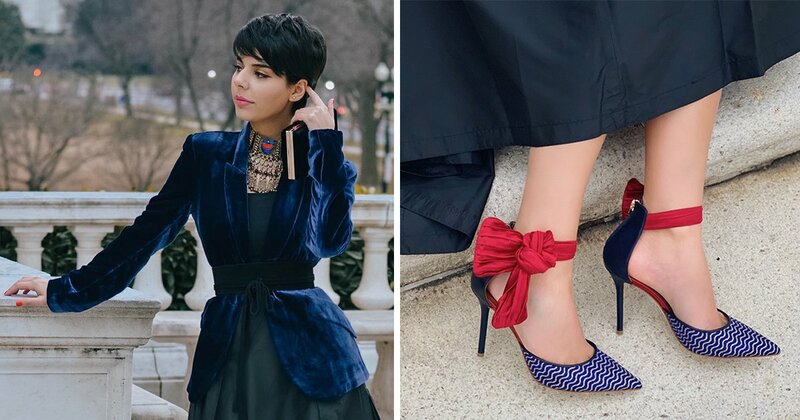 Contrast polka-dot shift dress, $19.80 at Forever 21. 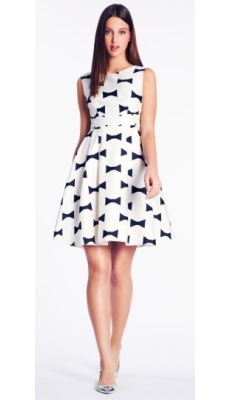 Bow-tie Marilyn dress, $478 at Kate Spade. 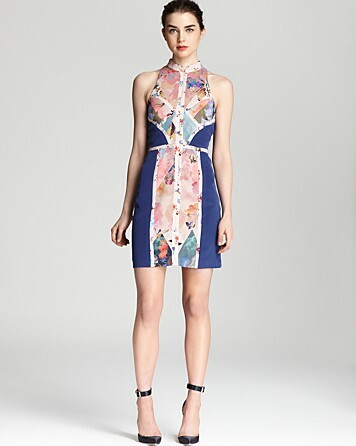 Nicole Miller printed dress, $465 at Bloomingdale’s. DV Dolce Vita Ritsa eyelet lace dress, $121 at Piperlime. Origami dress, $360 at Topshop. Charlie Jade Taryn silk dress, $152 at Cusp. Lovebird shift, $325 at Rebecca Taylor. Dorrington striped dress, $36 at Sosie. Belt of the Ball peach and ivory dress, $42 at Lulu’s. Shoshanna Janine dress, $385 at Shopbop. Daryl dress, $249 at Club Monaco. 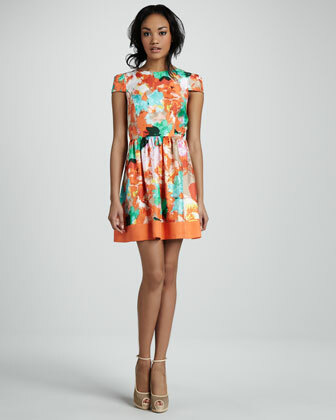 Ali Ro floral-print flare dress, $328 at Neiman Marcus. 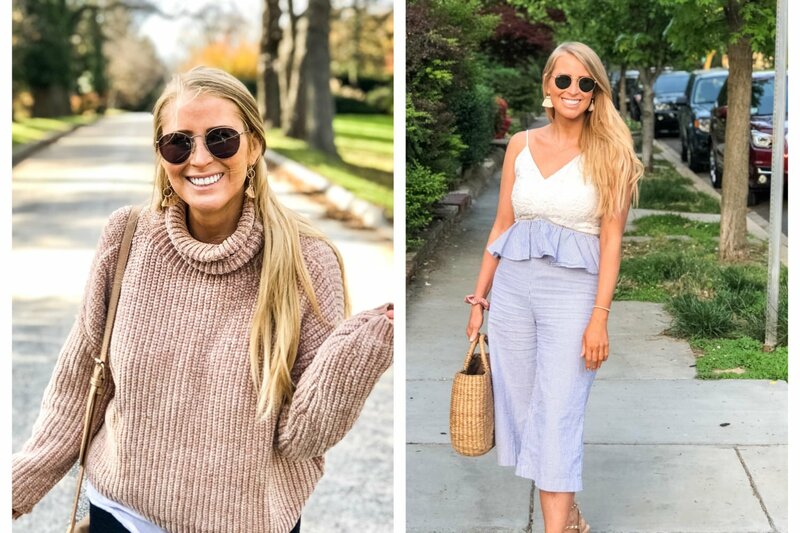 Silhouette dress, $138 at Madewell. Color-block dress, $22.80 at Forever 21. 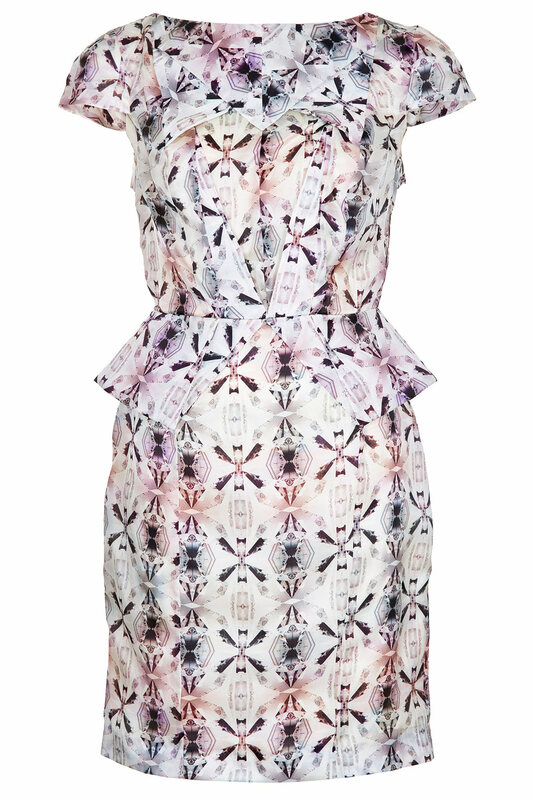 Alice + Olivia floral dress, $484 at Shopbop. Love swing dress with lace insert, $53.20 at Asos. 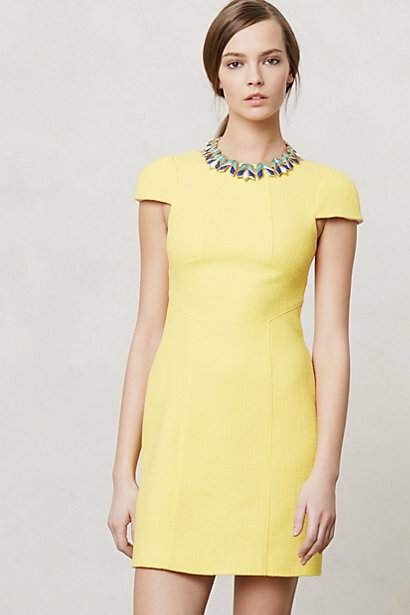 Nanette Lepore dress, $398 at Shopbop.